If you register a Compass card or pay for TransLink rides with a credit card, the police can get personal information like your name, phone number, email address and trip history without a warrant or telling you. What happened after The Tyee exposed that TransLink increasingly was handing over data about its riders to police without informing customers or requiring any warrants? A follow-up Tyee investigation finds police tracking of TransLink riders has since intensified. And a probe by B.C.’s Information and Privacy Commissioner triggered by The Tyee’s report quietly wrapped up four months ago without telling the public or resulting in any new safeguards. The fact the data sharing continues without any moves to protect riders’ privacy or ability to know is “tremendously disappointing,” said Micheal Vonn, policy director for the British Columbia Civil Liberties Association. But TransLink emphasized that the province’s investigation concluded the transit authority broke no laws by secretly sharing customers’ information with police. 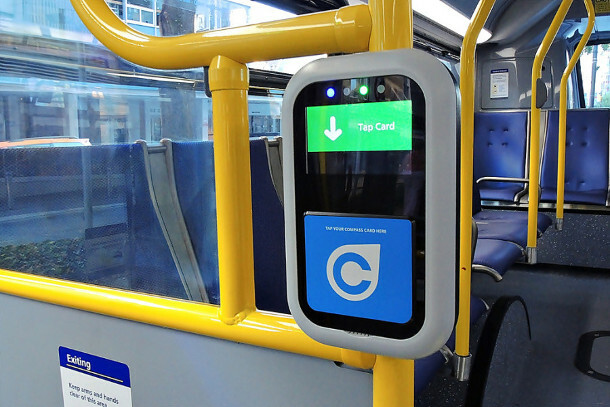 TransLink’s data can reveal to police, without the rider’s knowledge, their name, email address, phone number and every trip taken with a Compass card or fare purchased from a kiosk with a credit or debit card. In July 2017, TransLink responded to a Tyee freedom of information request saying it had received 132 police requests for such information, granting 82. The number of times law enforcers sought and received such information had risen since 2016. In the whole of that year, police had made 147 requests and were granted 111. In 2015, The Tyee learned, TransLink fielded only 16 such requests, granting 10.